Microsoft has packed Kinect into a dirty old van and will be touring the North American continent. It was somewhat short sighted when Microsoft was demoing Kinect in only four Microsoft Store locations, but now Microsoft has widened its view. Over the next 14 weeks, Kinect will be demoed in 32 cities across the U.S (in addition to random Macy's, by the way). Though many have already written Kinect off due to the extremely casual-sounding game lineup that includes titles such as Kinectimals and Dance Central, I'm trying to keep an open mind until I actually use the device. After all, Wii Bowling ended up being a lot more fun than it may have sounded at first, so Kinect Sports or Kinect Adventures may have a few gems in there as well. It's worth a shot at least, because I'm sure Kinect will eventually be lowered from what most people would deem the absurd price of $150. I guess I won't be trying it out. Ever heard of Philadelphia, Microsoft? Apparently all of the previously mentioned games along with Kinect Joy Ride will be available to play, so get out there and try the device if you can. Hey, you never know, Justin Bieber might be there too. 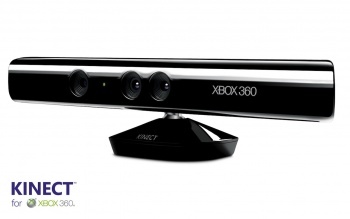 Kinect will be released on November 4, 2010.